Remodelling your kitchen? Your choice of countertops is a vital part of the project, and selecting the right one for your budget and decorating goals is probably the single most important decision you will need to take. However, it is easy to become overwhelmed by the sheer amount of options available in the market, both online and offline. We have created this website to help shed some light in the world of kitchen countertops and surface choices, putting unbiased information about all sorts of worktop materials right at your fingertips. 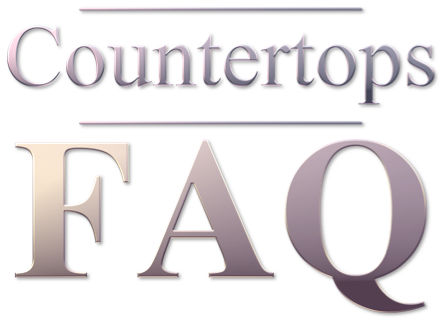 CountertopsFAQ is intended as a resource to help you find the perfect kitchen worktop: aesthetically pleasing, functional and within your budget. From affordable options such as laminate countertops to the high-end ones such as quartz countertops and granite, we have them covered. And if there is something missing, contact us or leave us a comment and we’ll try to answer all your countertop questions. Check us out before spending your hard earned money on something just because a store attendant suggested it. You will be in a stronger position to negotiate a better price, and will buy the right surfaces for your kitchen. No matter if you are looking for cheap countertops or a luxury investment, we did the research so you don’t have to.